We’re friends, right? That means I can tell you my deepest, darkest secrets. This one may not come as a surprise to you, but when I think about planning a holiday meal, the main course is the furthest thing from my mind. I typically find turkey, ham, lamb, or any other main meat course to be nothing more than an obstacle to consuming as many carbs as humanely possible in one meal. I’ll take the teeny, tiniest little piece of meat and then load up on all of the side dishes and rolls. Yes, rolls. Plural. 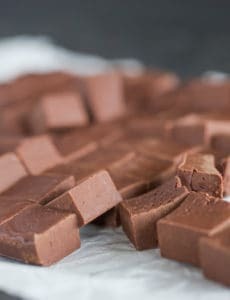 I find it impossible to eat only one during a holiday meal. 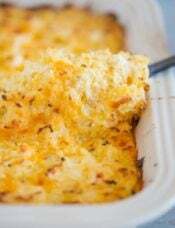 I usually eat one with my meal, and then use a second one to soak up any remnants of creamy cheese sauce from scalloped potatoes or stuffing left on my plate. Given my unusual and slightly neurotic obsession with bread, I usually offer to bake the rolls for holiday dinners. 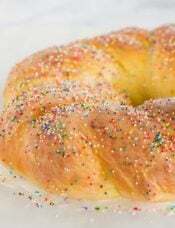 I tend to bounce around between recipes, sometimes using my sweet dinner roll recipe, other times using my white bread recipe for cloverleaf rolls on the fly, or maybe trying a new recipe I’ve recently come across. 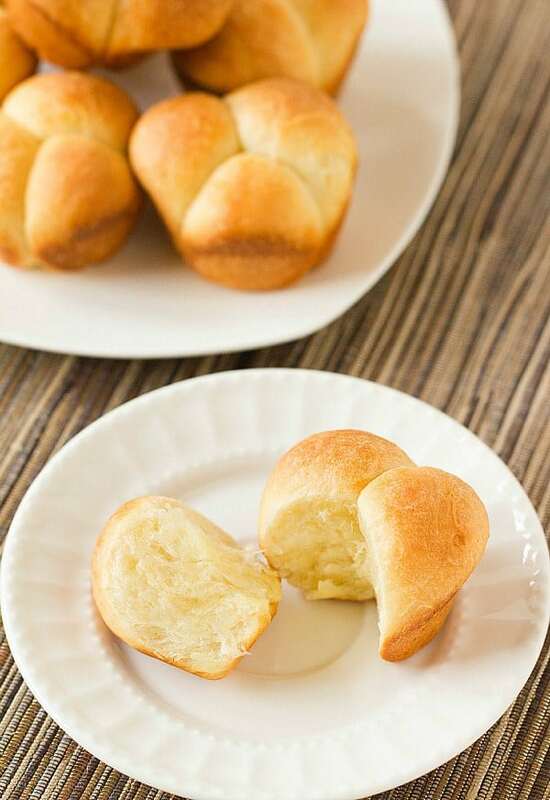 I’m a big fan of the cloverleaf roll for one primary reason – you can easily pull it apart into three pieces and butter each piece. The more roll surface area covered in butter is always better in my book! Since I’ve only made impromptu cloverleaf rolls using standard bread recipes in the past, I was thrilled to see a specific recipe for them in a special holiday edition of Cook’s Illustrated while at Sam’s Club recently. It didn’t take me long to make the recipe, because really, when is fresh bread ever a bad idea? I was so happy with how these rolls turned out – the dough is buttery and rich, thanks to both butter and eggs, and the baked rolls have a wonderful texture. They are soft, but also sturdy enough to withstand a slathering of butter. (Having a too-fluffy roll crumble apart when you’re trying to butter it is the worst, right?!) The best part is that you can make the dough and assemble the rolls the day before you need them, pop the pan in the refrigerator, and then bake them off the next day. Anything that makes holiday meal time easier is a plus in my book! 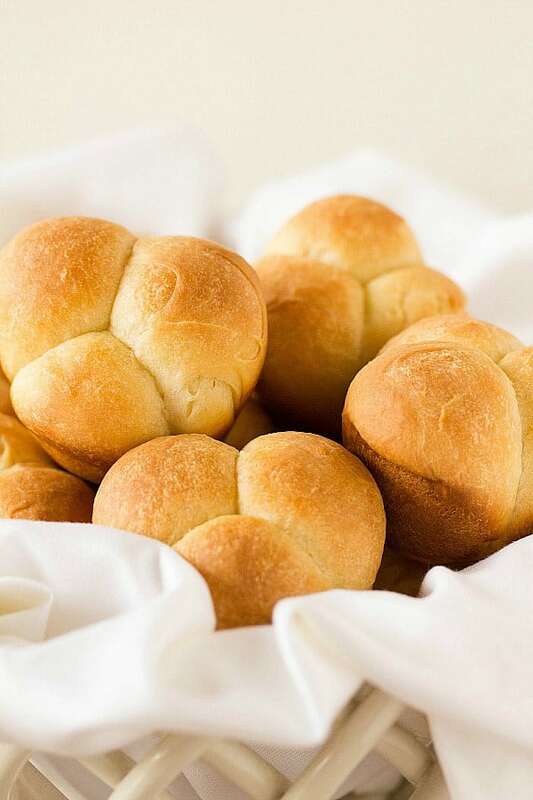 Buttery pull-apart dinner rolls are the perfect addition to any special meal. 1. Whisk together the milk, sugar and yeast in a small bowl or liquid measuring cup, then whisk in the egg and egg yolk to combine. 3. Turn the dough out onto a lightly floured surface and knead briefly to form a smooth ball. The dough might appear slightly sticky, but resist adding more flour while you are kneading. Transfer the dough to an oiled bowl and turn it so that the ball of dough is evenly coated in oil. Cover with plastic wrap and place in a warm, draft-free area until it has doubled in size, about 45 minutes. 4. Brush a 12-cup muffin tin with 1 tablespoon of the melted butter. Punch down the dough on a lightly floured work surface. Divide the dough into 36 equal pieces. (The easiest way to do this is by weighing them out on a kitchen scale, but you could also divide the dough into thirds, then roll each one out into an 18-inch rope and then cut each rope into 12 equal pieces). On a clean surface, roll each piece into a smooth ball. Place 3 balls, seam side down, in each muffin cup. 5. Meanwhile, preheat the oven to 375 degrees F.
6. Remove the plastic wrap from the rolls. Bake the rolls until golden brown, about 15 minutes, rotating the pan halfway through baking. Brush the rolls with the remaining 1 tablespoon melted butter. Let cool in the pan for 5 minutes, then transfer to a wire rack. Serve warm. Note: Do not substitute 1%, 2% or whole milk for the skim milk in the recipe. I have made cloverleaf rolls since I was a kid. In those long ago days all we had for milk came from a Guernsey cow. The rolls turned out fantastic. Now adays I have almond milk from a carton. The rolls turn out fantastic. And I add half whole wheat flour that we grind our selves. I also dump in olive oil instead of butter. Very very tasty. So I don’t think playing with the recipe will hurt anything. Tonight I used this dough and made mini bread sticks out of the dough, mixing in raisins for kicks. Too tasty. Just go easy on adding flour. This is very tender compared to usual bread doughs. Followed the directions. Kneaded them by hand. They rose, then flopped in the oven. A dud. Didn’t even taste good, I’m sorry to say. Ruined my Thanksgiving. Other clover roll recipes call for 3-4 1/2 hours rising time. I think this may be where the flaw is in this recipe. Hi JB, I’m sorry to hear the cloverleaf rolls didn’t work out for you, however I’ve made them many times following this method without any issues, and there are many reviews from others who have made them with good results. 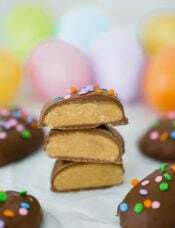 I made these yesterday, and they were amazing! My son, who is a very particular eater, declared them his new favorite. I will definitely be making them again. These rolls were fantastic!! I made the dough on Sunday morning, put the rolls together in the cupcake tin and refrigerated them as I intended to bake them off later that day for dinner. Plans changed and I wasn’t able to bake them until 5pm the following day. There were in the refrigerator for about 36 hours!! I took them out for about an hour to rise, baked them off and WOW…I just loved the result. What a beautiful dough and delicious roll. I’m going to do this for holidays! I made four batches today and they were absolutely delicious and a big hit with family and friends! How fluffy are these rolls? Are they good for soaking up gravy on a Thanksgiving plate? Hi Michelle. Can this recipe be doubled or do I have to make two batches? If it is doubled, how much yeast would be used? Thank you. Hi Kathleen, Yes, you can double this. Use double the yeast – 2 packets (4.5 teaspoons). Can I use bread flour instead of all purpose? Hi Amber, I would not in this recipe; it will cause the rolls to be heavier and denser. 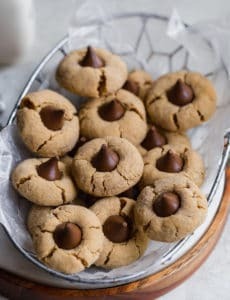 Can I make these with whole wheat flour and get the same consistency? 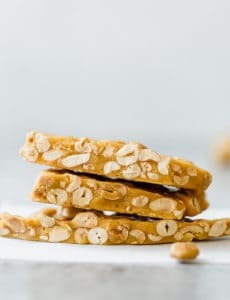 Hi Carol, You won’t be able to maintain the same consistency if you use whole wheat flour; they will be dense/heavier. You mention the part about the rolls crumbling when you butter them because they are too “light”. What changes need to be made in an already used recipie? More flour, less flour, less kneeding? Less rising? 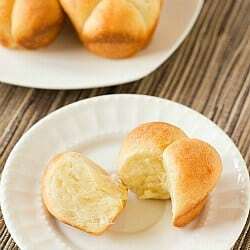 Your cloverleaf rolls recipie sounds wonderful. Thanks! Thank you for this recipe. I made them for our Thanksgiving table (a double batch!). They were excellent. I have to admit that before all the butter was worked in I was a bit concerned. But as my Bosch slowly got the butter incorporated a beautiful dough emerged. After the first rise I assembled the rolls and put them in the refrigerator overnight. They baked beautifully. I can hardly wait for another excuse to make these again. Oh look, it’s Thursday. I guess any Thursday would be a good excuse for yummy dinner rolls! Mine turned out good, but didn’t look as flaky as picture. Will make again! 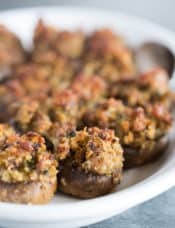 I made these for my family on Thanksgiving – they were a hit! These babies are definitely buttery and delicious, not to mention beautiful with the cloverleaf. My only concern was that despite making sure to use skim milk, my rolls were a bit on the denser side. (I used my KitchenAid with dough-hook to knead, and made the dough the day before to chill in muffin tins in the fridge overnight, taking them out about 35 minutes before baking). I was wondering if anyone else had this issue. I thought perhaps I should have kneaded the dough even more, prior to adding the butter, so as to better develop gluten so that the dough could hold all of the fat. Alternatively, maybe I just should have let them rise more? I don’t think it was the yeast since I made another recipe using that same batch of yeast with good results. Anyone else run into this or have suggestions? these rolls are good but you should try fannie farmer baking book dinner rolls they are even better! I amde these tonight and they are great. I am having a hard time limiting myself to one. 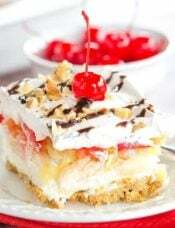 Maybe I will have one as dessert! Thank you for the recipe! Out of curiosity (I was going to make these for Thanksgiving) what happens if you use whole milk? This is soooo weird but I swear I can smell these. Yummmy! I make extra rolls cause then you can slide a piece of turkey inside and call it a sandwich. The sides are definitely the most important part of the meal!!! Can it this easily be doubled? Thanks. 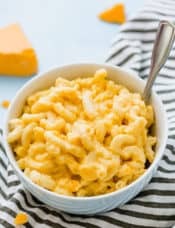 Hi Michelle, I haven’t been able to get these out of my mind since you posted the recipe! Do you recall what the weight was when dividing the dough into 36 balls? Thank you so much!! the main course is the furthest from mine too :) i love side dishes more than the main course most of the time!! 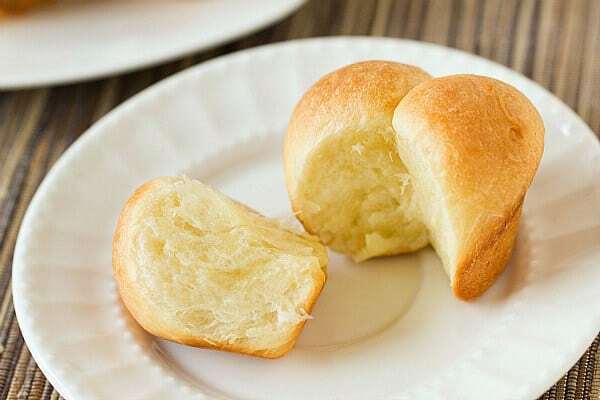 these rolls looks so PERFECT!! I would love this on my dinner table. I’ve never heard of Cloverleaf rolls before but they are very pretty and cute. They’d make a great addition to any holiday table! What will happen if you change to 2% milk? Hi Lola, The increased fat content in 2% and whole milk will result in rolls that are heavier and denser than ones made with skim milk. Oh delicious bread.. I wonder if I can make a gluten free version. This looks so fresh and soft. Hi Sally, I have not made gluten free rolls, but if you create a gluten-free version of these, definitely come back and share! We are great consumers of fresh dinner rolls at almost every meal and if not rolls it will be some other form of bread. Your clover leaf rolls are perfect! I’ve never thought to make my rolls in a cloverleaf but it makes so much sense. As you say, just pull apart and butter! Michelle- if you are making a day ahead, do you still let the rolls rise for 20 minutes before refrigerating? These look great, can’t wait to try them! Hi Ali, No you don’t need to let them rise first. I’ll edit the instructions so that’s more clear!